Have you spent years hiding your smile behind your hands? Do you avoid being in photos? Or have you become a master at smiling without showing your teeth or using gestures to distract people from looking at your mouth when you talk? You’re not alone. We see a staggering number of patients who have wanted to change some aspect of their smile for most of their adult lives. Some even say that their feelings about their teeth are holding them back in some way. We say, enough is enough! Adult orthodontic treatment from Heaton Mersey Orthodontic Centre allows you to smile with pride and can completely makeover your smile. It may even change your life. Book your consultation today - call us on 0161 947 9900 or fill in our booking form. See how Smile Makeovers has transformed some of our patients’ smiles. With a smile makeover, we look at how your teeth look at the moment – what are the alignment issues? Are there problems with your bite that need correcting? How do your teeth need to move to achieve the best harmony with the rest of your features and give your bite the best function? Do you need white fillings, veneers, crowns, implants and/or tooth whitening to optimise the final result? 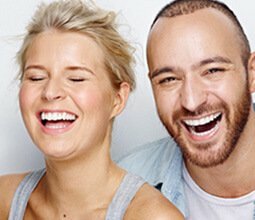 By looking at every aspect of your smile and how your teeth currently bite together, as well as understanding whether you have a deadline in mind, your budget, and any lifestyle factors that might influence which brace or aligner system you need, we can narrow down your choices and give you our expert recommendations. At this stage, it’s hard to say how long your smile makeover would take as every case is different. Teeth straightening with systems such as Damon braces or Invisalign can take between 12 and 24 months, especially if your case is more complex, while quick brace systems such as Six Month Smiles can complete some treatments in as little as six months. When you come in for an initial consultation, we can give you a better idea of the timeline for your treatment. Will people know I’m having a smile makeover? These days, there is a fantastic choice of discreet adult orthodontic systems using clear fixed braces or removable aligners. Some of these systems are incredibly hard to spot and your treatment may go under the radar with most people that you meet.